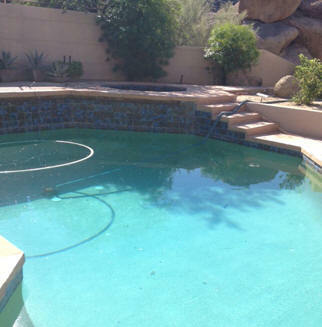 Remodels - Shimmering Waters Pool Service - Professional swimming pool & spa cleaning, maintenance, repair and remodel company, servicing the valley. 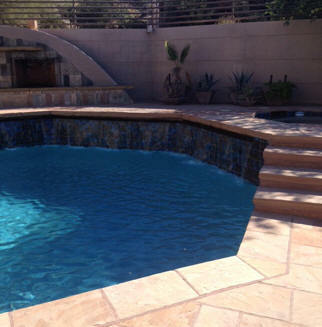 Here is a quick look at what we can do for your swimming pool. 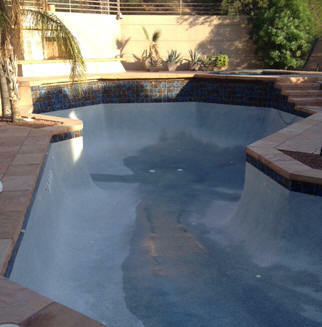 This pool had several issues, it was in need of tile repair, acid wash, concrete repair to the rock features and more. By the time we completed the job the tiles had been replaced and cleaned, the pool was acid washed and repairs had been completed to the rock features. Then came a fresh water fill and balance of water. The end result - another happy client and a swimming pool ready for that pool party! We treat every pool as if it were our own. 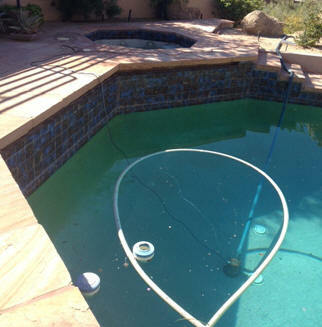 We are dedicated to providing reliable, quality pool care and maintenance services to our customers. We guarantee you an outstanding job at a fair, affordable price.